7plus is the online streaming version of Australia’s Channel 7 (also known as The Seven Network). Due to regional restrictions, some of the site’s content is only accessible from within Australia. If you’d like to watch 7plus from the US, Canada, the UK, Germany, France, or anywhere else, you’ll have to use a Virtual Private Network (VPN). VPNs encrypt your network traffic and route it through a server of your choosing. This prevents anyone from seeing your online activities but also lets you access geo-restricted content. 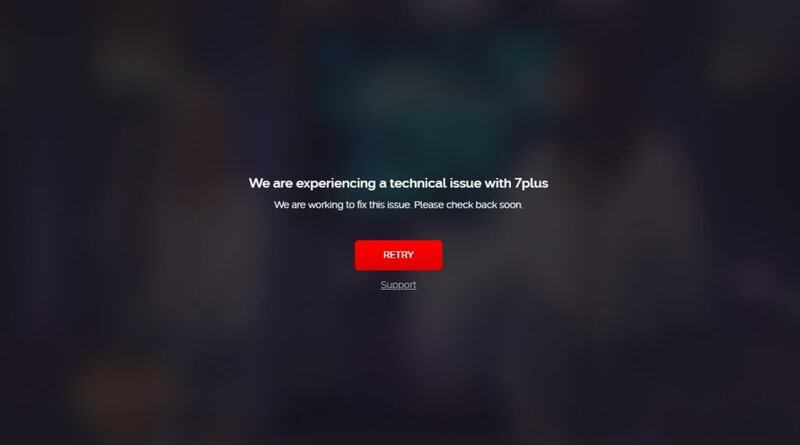 For instance, connecting to an Australian server will let you watch 7plus, but if you try to watch from abroad without a VPN, you’ll see a message reading “We are experiencing a technical issue with 7plus. We are working to fix this issue. Please check back soon”. With five high-speed Australian servers to choose from, ExpressVPN enables its users to stream high-definition content free from buffering or lagging. Further, this service can unblock not just The Seven Network, but also Hulu, Netflix, and Amazon Prime Video so you’ll never be short of things to watch. ExpressVPN uses 256-bit encryption and perfect forward secrecy to ensure your traffic is well-protected. It also protects against DNS leaks, and by using the optional kill switch, you can immediately stop any data transmission should your connection drop. This service is ideal for privacy-focused users thanks to its no-logs policy, secondary Tor-accessible site and the ability to pay in bitcoin. 24/7 support is available via email or live chat. This VPN has apps for Windows, Linux, MacOS, iOS, and Android. It can be manually installed on supported network routers. BEST VPN FOR 7plus:ExpressVPN is our #1 Choice. Super fast and reliable servers in Australia unblocks 7plus in any country along with most other major streaming services. Best-in-class security and privacy with 256-bit AES encryption, keep no browser logs, kill switch and leak protection. Try it risk-free with the 30-day money back guarantee. NordVPN offers a staggering 173 Australian servers, all of which are optimized for streaming. 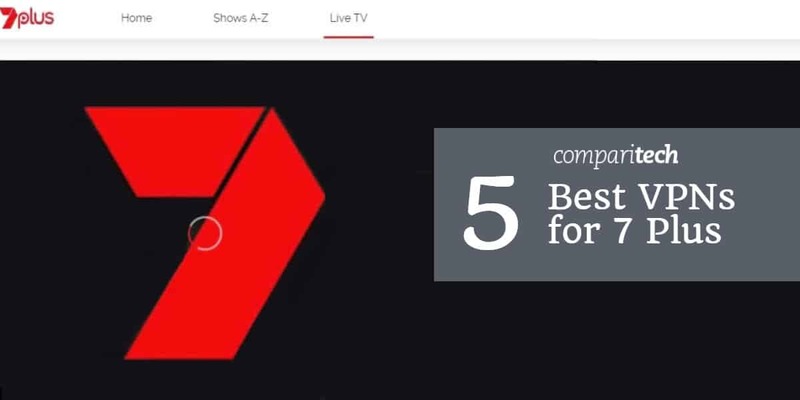 This VPN unblocks the most popular platforms including BBC iPlayer, Netflix, and Hulu, so Channel 7 won’t pose a challenge. As six simultaneous connections are allowed, you can watch from whichever device is most convenient. This service uses 256-bit AES encryption coupled with DNS leak protection to keep you safe at all times. There are several security features for more advanced users too, including an adblocker, anti-malware monitoring, a highly customizable kill switch, and the ability to use double VPNs or Tor over VPN. There’s a strict no-logs policy in place, so no browsing or session data is stored. NordVPN apps are available for MacOS, iOS, Windows, and Android. Linux-based systems and wireless routers are also supported but must be manually configured. BEST BUDGET VPN:NordVPN is a good value choice. With over 150 servers to chose from in Australia, this is a good all-rounder option that unblocks most geo-blocked regions well. Great privacy and security credentials. 30-day money back guarantee. CyberGhost attempts to simplify online security. Users can either choose one of its 20 Australian servers directly or have one assigned based on their intended activities. For instance, there are servers dedicated to torrenting safely, or unblocking streaming services like 7plus, Amazon Prime Video, and SKY GO. CyberGhost uses 256-bit encryption and comes with a suite of security features. These include ad blocking and anti-malware functions, a kill switch, and forced HTTPS. You’re also protected from IPv6, port forwarding, and DNS leaks, so your activities are kept private at all times. CyberGhost does not keep any logs of your activities. This service offers apps for Windows, MacOS, iOS, and Android. It can be manually installed on Linux devices and selected network routers. BEGINNERS' CHOICE:CyberGhost has a simple set up. A budget choice. Good on privacy. Streams 7plus in HD video reliably. Can struggle with unblocking some popular streaming sites. 45-day money back guarantee. IPVanish has become a popular choice for streaming thanks to its fast speeds and strong multi-platform support. With 61 Australian servers to choose from, you’ll have no issues accessing 7plus. While IPVanish can’t unblock Netflix, its US servers enable you to stream from platforms like HBO, and Comedy Central. With five connections allowed at once, you can stream and browse safely no matter where you are. Despite its lightweight clients, IPVanish offers a good range of security features. There’s 256-bit encryption, the option to block local traffic, OpenVPN traffic obfuscation, regular IP address changes, and a kill switch. Further, IPVanish has a no-logs policy so you can rest assured that your activities will remain private. This provider has apps for Windows, Android, MacOS, iOS, and Amazon Fire Stick. Linux platforms and supported wireless routers require manual configuration. LARGE SERVER NETWORK:IPVanish works with up to 10 connected devices. Fast connections, lightweight easy to use apps, good multi-platform support. Reliable with 7plus but can’t unblock as many other streaming services as some of its rivals. 7-day money-back guarantee. Although PrivateVPN has just one Australian server, it boasts above-average speeds and excellent unblocking capabilities. As a result, it’s a strong choice for people who like to stream content from services like Netflix, Amazon Prime Video, or Hulu. As six simultaneous connections are permitted, you can protect all of your household’s devices with a single account. PrivateVPN protects against DNS and IPv6 leaks and uses 256-bit encryption combined with a kill switch to keep your traffic secure. 24/7 customer support is available via live chat, and if you’re having trouble, the staff can remotely install or configure the software for you. PrivateVPN has dedicated apps for Windows, Android, MacOS, and iOS devices. Manual installation is required for Linux and supported routers. GREAT SPEED:PrivateVPN is a good family choice. Unblocks 7plus and generally good for browsing and torrenting. Allows up to 6 devices. Could do with more servers and lacks 24/7 support. 30-day money back guarantee. Can I use a free VPN to watch 7plus? On the surface, free VPNs can be very tempting. However, we advise against using them, for several reasons. Streaming platforms have been trying to prevent VPN users from accessing their content for a while, so in all likelihood, a free VPN just won’t work. You should also consider that free services have more users and usually, fewer servers to spread the load. This results in slow speeds, stuttering video, and an overall poor viewing experience. Remember that free VPNs are businesses and exist to make a profit. As they don’t charge users directly, they’ve had to find other ways to generate income. Their methods might include inserting ads into the sites you visit, selling records of your activities to third parties, or using tracking cookies to build an activity profile after you disconnect. This isn’t just conjecture: we’ve seen cases recently where free VPN services have actively misled their users about the logs they keep, installed malware, and even sold their users’ bandwidth to be used in a botnet. To keep yourself and your personal information safe, we recommend using a well-established, reputable VPN service with a track record of protecting its customers’ privacy. Why isn’t my VPN working with 7plus? If you’ve connected to one of your VPN’s Australian servers and still can’t watch 7plus, there are a few possible causes. It’s important to know that streaming services have stepped up their efforts to block VPN users in recent years, and as a result, you might find some platforms inaccessible from time to time. VPN providers are constantly trying to stay one step ahead, however. As VPN blocking is usually done by blacklisting IP address ranges, it can often be circumvented by connecting to a different server or getting a new IP address. If you’re still unable to watch 7plus, try contacting your VPN’s support team. Sometimes, only specific servers can bypass a service’s geo-restriction, and the staff will be happy to tell you which to use.